Last February I wrote about my 3 favorite essential oils for heart health which you can read about here. This year I would like to cover just a few of many herbs that benefit your ticker. This is the primary heart health herb, and for very good reason! 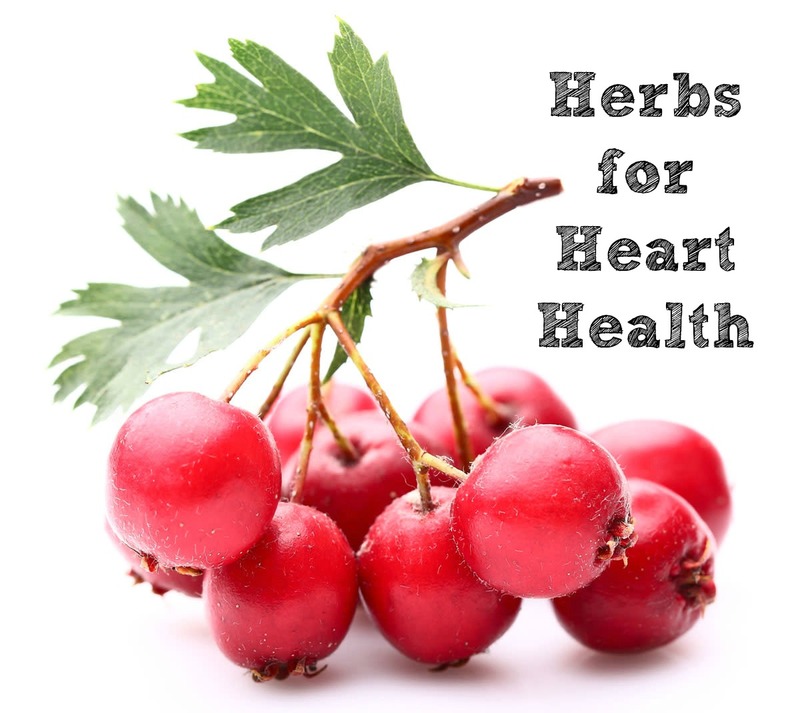 The hawthorn berry has been used for centures as a natural remedy for almost every kind of heart-related ailment. It helps improve circulation, balances blood pressure, regulates cholesterol and heartbeat, and generally strengthens and tones the heart. Hawthorn’s constituents include antioxidants, vitamins B and C, saponin, tannins, bioflavanoids and procyandidins, among others. Here is just one study among others on pubmed that shows anti-inflammatory properties of hawthorne berries. I love hibiscus tea! Not only does it taste wonderful (to me at least), several studies have found it to lower blood pressure significantly. Hibiscus flowers are rich in heart-protective antioxidants and have been shown in studies to balance blood pressure, heart rate and cholesterol levels. Probably due to the antioxidants in hibiscus tea, there has been some introductory cancer research. There is some evidence to support hibiscus tea may have anticancer power! And, while the antioxidants in hibiscus are working to protects cells, there are other compounds in addition found in hibiscus to have the potential to encourage weight loss. This is also good for heart health! When we look at rose essential oil, it is said to have the highest frequency, which is very healing to the body. Roses are traditionally given to express love as well as sending comfort and love to someone who is hurting. Reason being, they are deeply heart-nourishing energetically. Last December, we lost our dog Josie of 15 years. My son, 12 at the time, was devastated. I would use the rose essential oil and draw a heart shape with my finger over his heart to help with the healing. He in turn would do it for himself when he was feeling down and missing sweet Josie. Tinctures from rose can have an analgesic, anti-inflammatory effect and are especially useful when we are feeling physical pain caused by an emotional wound. Rose’s antispasmodic activity further helps us let go of tension associated with the pain. Rose is a beautiful emotional healer for issues of the heart! Like I mentioned, there are many herbs that benefit the heart! If you would like to discuss further, please feel free to reach out to me!